In an article published by Law360, insurance partner Hunton & Williams, Michael Levine, weighs on Office Depot's ongoing Ninth Circuit appeal by a court of law that has decided that Office Depot is not entitled to cover a California False Claims Act Office Supply Chain over-the-counter public sector . 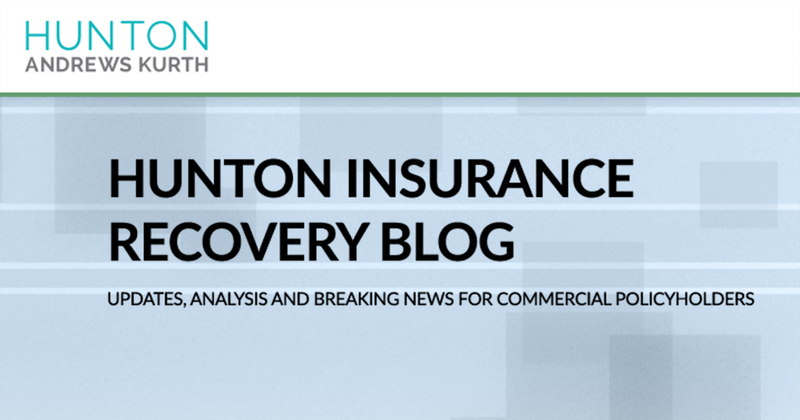 The decision is premised on a finding that the California Insurance Code 533 – which excludes coverage of the policyholder's cautious actions – applies to all underlying CFCA actions, including claims of ruthless and negligent behavior. However, as Levine points out, the court made the "fundamental mistake" of assuming that Office Depot had actually become responsible for a CFCA violation when it did not. Section 533 requires "more than just the accusation" of a cautious act of a policyholder, he said. Levine continues to explain the danger of confirming such a wrong judgment is that "it creates a dilemma for the policyholders, because even if the only claim for a CFCA violation would be excluded from coverage [even though n]section 533 lacks the intention to have such a broad precision effect. "